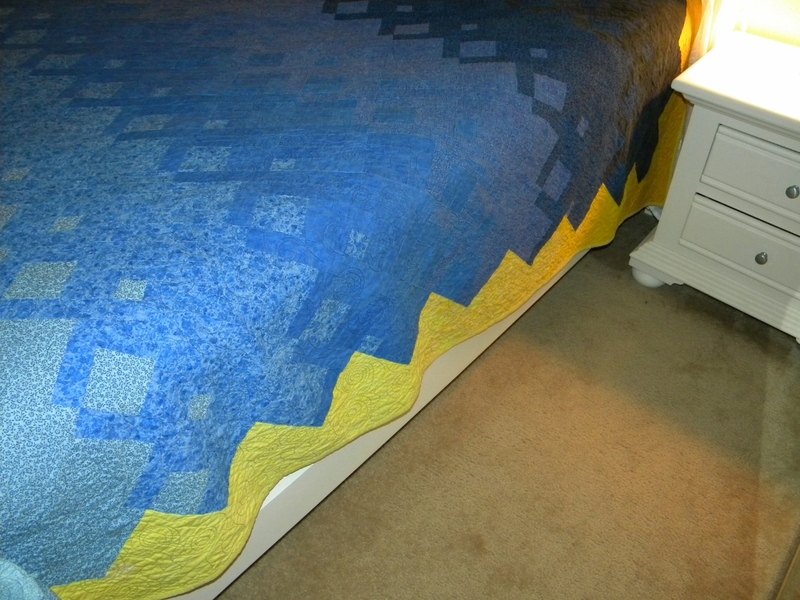 I worked on this quilt for about a year. 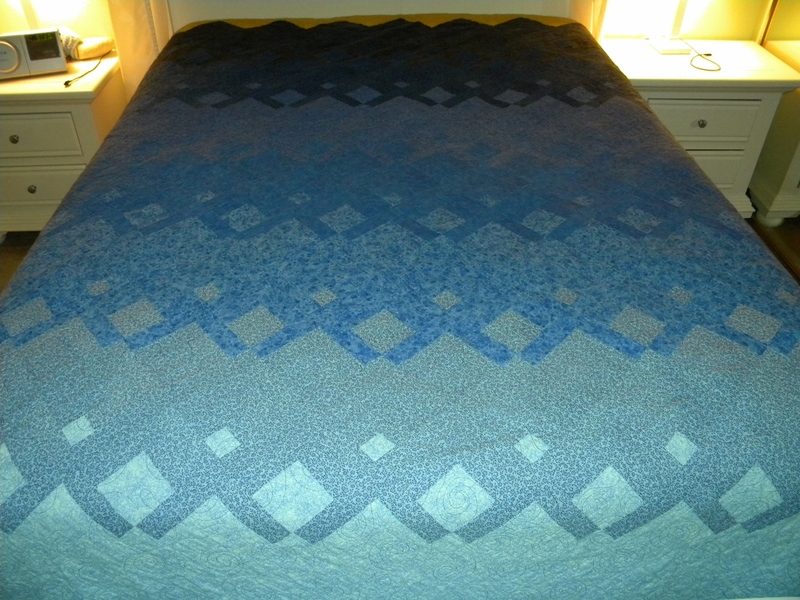 I didn’t have it done when we got married, but I finished stitching the binding on the day we moved into our first house in Florida, about 5 months later. Michael is so tall his feet stuck out of the bottom of the quilt we had been using (the star quilt I made in college), so this is an extra long queen sized quilt. I also made it to have a color graduation to mimic the evening sky that Michael loves so much. The color graduation works out much cleaner on the yellow border.